Teenagers and those in the lower socio-economic classes (SECs) of developing Asian countries may not have a lot of purchasing power now, but they do represent a rapidly growing market. This also means that for many multinationals these groups provide key opportunities for growth in the region. To ensure that products and services are well-positioned to target these groups, it is important to understand their preferences by doing the relevant research. With limited Internet penetration in many markets, targeting these lower SECs is typically a difficult task; running research online can be close to impossible, or unable to yield a representative sample. Hence, in many cases, we find ourselves turning to face-to-face interviewing instead. This method of recruitment is typically costly, time-consuming, labour intensive, and often logistically unrepresentative of the total market. Now, with increasing mobile Internet penetration in many Asian countries, we are finally presented with an opportunity to drastically change recruitment of these target groups using feature phones and low-tech smartphones. In recent years, there has been a steady development towards research conducted on smartphones; devices with a capable processor and 3G accessibility enabling easy rendering of mobile Web surveys. But the mobile reality in the lower SECs is very different from what many of us are used to. Most people in these groups use slow feature phones with small screens and are connected through much slower 2G networks, severely limiting what’s possible with a typical device in 5–10 minutes. At SKIM, we explore the limits of what is possible with mobile technologies in each market, using both basic and advanced methodologies. For developing countries, this means understanding which parts of the population we can reach with surveys on mobile devices and how this can help us increase the efficiency of our studies. 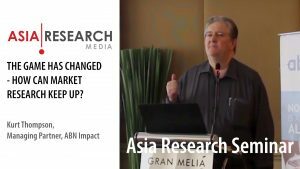 Below, we discuss how our results in the area of mobile benefits testing on feature phones compare to those obtained through traditional face-to-face interviews and how we see mobile studies in these markets fitting in with the current research offerings. Sample: Although we know that recruiting through traditional online methods and smartphones leaves us with a sample skewed towards higher SECs, in more recent work we’ve seen that recruiting only basic feature phone users leaves us with samples skewed towards lower SECs. To get a truly representative sample, we need to recruit across types of (mobile) devices. With mobile samples still being limited in many countries, it is important to carefully consider for each piece of research whether a mobile sample is the right way to go. Design: Due to simple technical limitations of feature phones, we found we were unable to apply some of our best-in-class approaches to benefits testing. In order to make it suitable for feature phones, we had to deviate from standard approaches and get creative in engineering an optimal setup that gave us the needed reliability of results while keeping the survey short and easy. The key here is to strip the survey of all unnecessary components and focus on the essentials. Survey Length: Related to the point above, respondents typically have a shorter attention span when answering a survey on a mobile phone than on a laptop or a desktop, or when being interviewed face to face. When setting up research to be conducted on a mobile device, the survey needs to be limited to the questions that truly contribute to answering the business question, in order to avoid respondent fatigue. When you really need to ask a longer list of questions, splitting up the research into multiple parts and asking respondents to participate in the second (or third) part at their own convenience for an additional incentive typically leads to higher involvement. We saw up to 80% of respondents on feature phones continuing to participate in the second part if they had already participated in the first. Cost and Timelines: Traditional face-to-face interviews are usually costly due to their labour-intensive nature and usually take a lot of time, as interviewers have to travel to the respondent, or vice versa. With mobile research, respondents can easily access the survey from their phones, and insights can be gained in half the time. The cost of hiring manpower is also significantly reduced, thereby making this form of research relatively more affordable when compared to traditional methods. 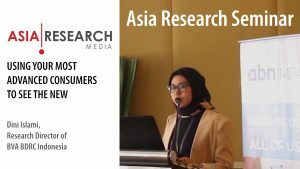 With its small screen sizes and shorter interview length, research on mobile devices is not yet able to replace longer, in-depth research in many Asian countries, but it still provides us with a new and useful tool for targeting lower SECs, especially when the objective of the research is to gain quick insights for swift decision-making. 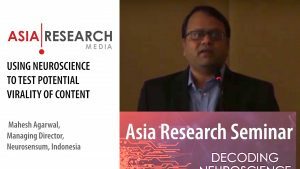 Finally, as mobile Internet penetration currently differs strongly among countries in Asia, the extent to which mobile research can be used to replace traditional research also depends on the target market and target demographics. It is important to review the feasibility and costs of such a study on a case-by-case basis, taking into account the differences among countries in the region. This article was first published in the Q2, 2015 edition of the Asia Research Magazine.